President and Dr. John Donnie Ramos,Board Member. In its aim to develop the human resources of PCHRD Scholars through creating an enabling environment for a career in research, the PCHRD Scholars Society (PSS) in collaboration with the University of the Philippines College of Nursing (UPCN) conducted a seminar-forum with the theme “Knowledge Generation through Active Engagement in PNHRS and MMHRDC” on October 27, 2014 at the Conference Room of UP College of Nursing. The 34 attendees were welcomed by the Dean of the UP College of Nursing, Dr. Lourdes Marie S. Tejero and the PSS President, Dr. Josefina A. Tuazon. Dr. Hilton Y. Lam, Program Director of MMHRDC and Director of UP National Institutes of Health Policy and Development Studies, was the keynote speaker. 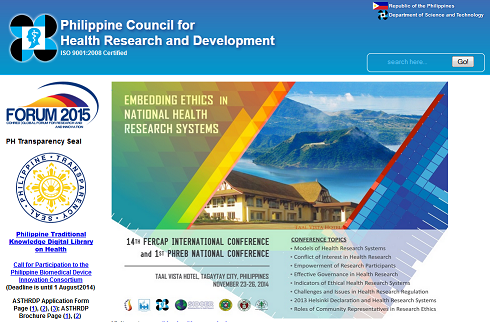 Dr. Lam provided a background about PNHRS, a national framework for health research which aims to promote cooperation and integration of all health research efforts and stakeholders in the country. 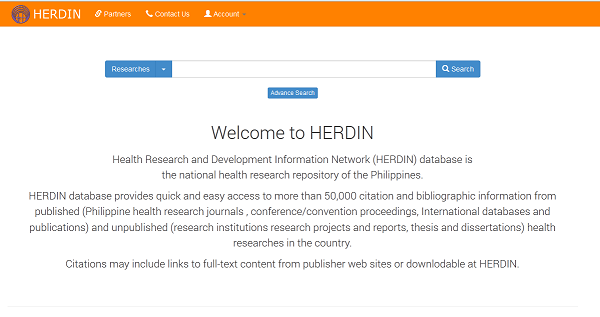 He also introduced the MMHRDC and shared the consortium’s accomplishments and lined-up activities. Dr. Lam also urged the participants to encourage their respective institutions to be a member of the consortium to avail the free trainings and research funds. To close the activity, Dr. Rommel Salazar, PSS Vice President, encouraged the scholars to be more active in attending the activities of the Society. 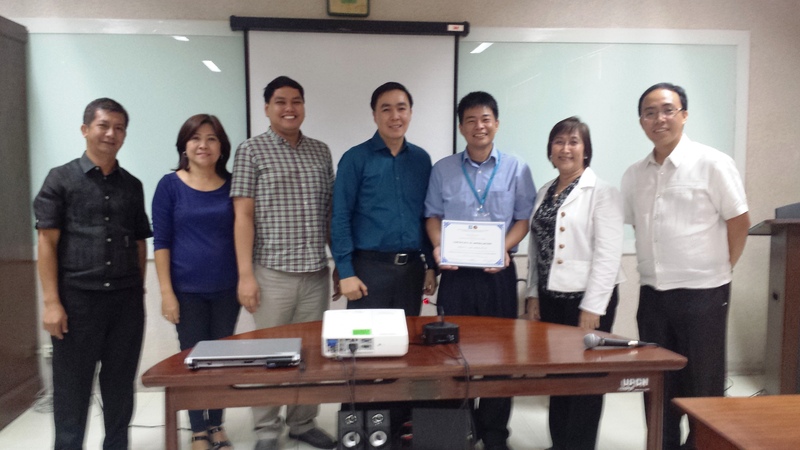 The Philippine Council for Health and Research Development Scholars' Society (PSS) called for an Organizational and Planning Meeting on May 8, 2014 at the Conference Room, College of Nursing, University of the Philippines, Manila. The meeting was primarily conducted to organize the Research, Capability and Membership Committees and identify the society's upcoming activities. The activity officially commenced with the inspiring remarks of the President, Dr. Josefina Tuazon, where she explained the need to firm up the upcoming activities of the Society; see who will work; and how to interface and plan activities based from the initial output of the previously conducted strategic planning. Ms. Carina L. Rebulanan, Chief of the Institution Development Division of PCHRD, presented the history and general discussions of the PSS. She also encouraged the members to be actively involved in the programs of the council both as an evaluators, and as mentors. The Strategic Plan 2013-2015 with its objectives and plan of activities was reported by Dr. Rommel Salazar, Vice President of the PSS. He also highlighted the mentorship program and the membership database as some of the notable accomplishments of the Society. 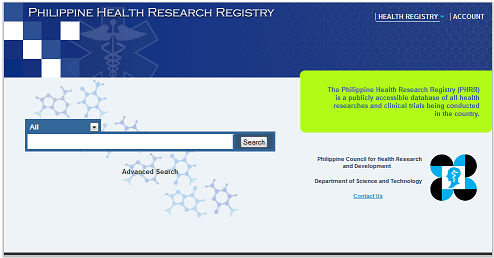 Dr. Tuazon further promoted the newly launched PSS website to facilitate communication and organization of the members.